Do you have a knack for crochet products or want a custom crochet product for yourself? Are you struggling to find a crochet artist in the market? Do you want to gift a personalized gift to your friend? Well, you have come to the right place. 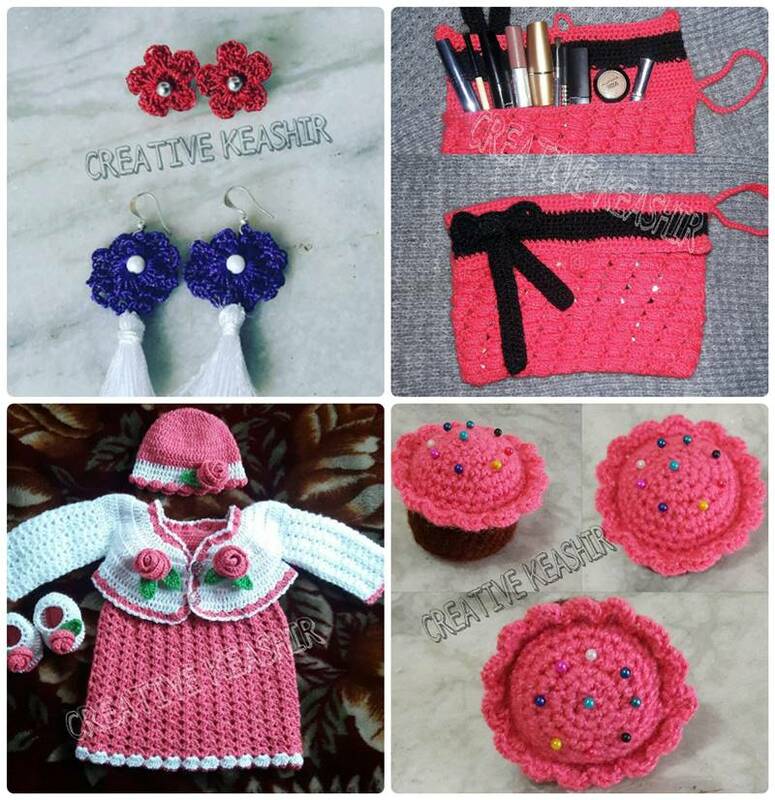 We have listed five online crochet stores in Kashmir, from where you can easily buy your personalized crochet products – boots, handbags, jewelry, baby dresses, head caps, hand gloves, socks. Two girls, Binish Bashir Khan and Omaira Qayoom Khan, whom destiny brought together through Sarfaraz College, were the first ones to venture into the online crochet stores. Now they have seven more young members including a boy in their team – Saima Qayoom Khan, Henna, Bisma, Shaista, Sumaira, Maryam and Areez Khan. They specialize in crochet booties, amigurumi toys, shawls, frocks, hand warmers, mats, doilies, wall hangings, and bridal floral jewelry. 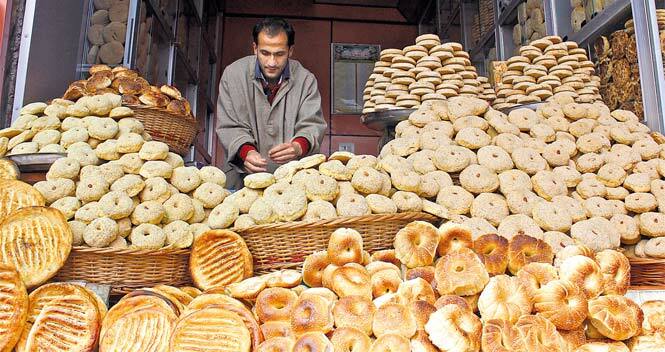 Started by Mansha Younis from Lal Bazar, Srinagar, she is alumni of New Era Public School Rajbagh. 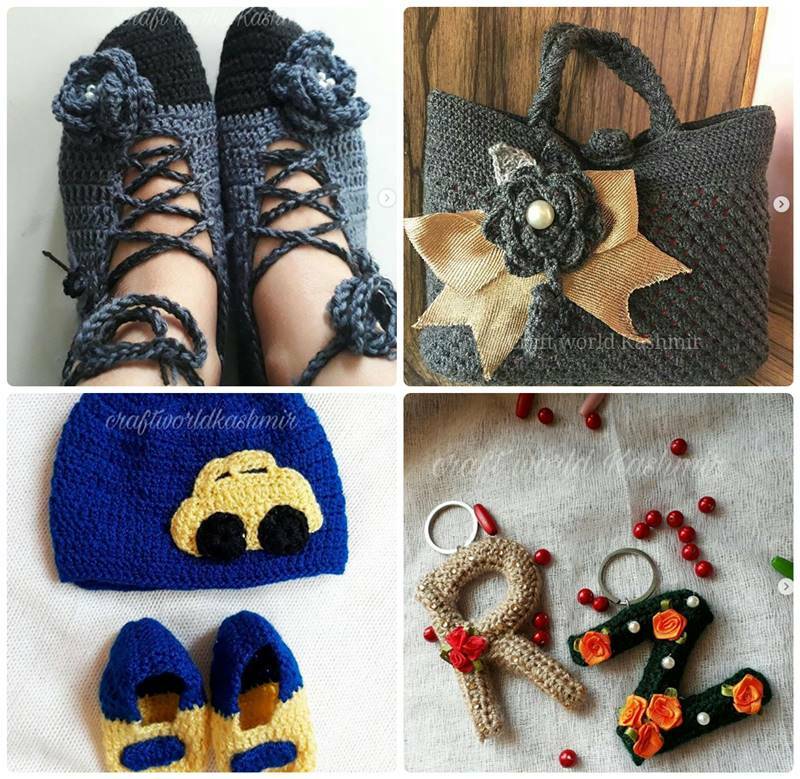 Currently she works alone and makes crochet products like booties, handbags, jewelry, baby dresses, headcaps, handgloves and many other things. She also accepts bulk orders and provides home delivery. 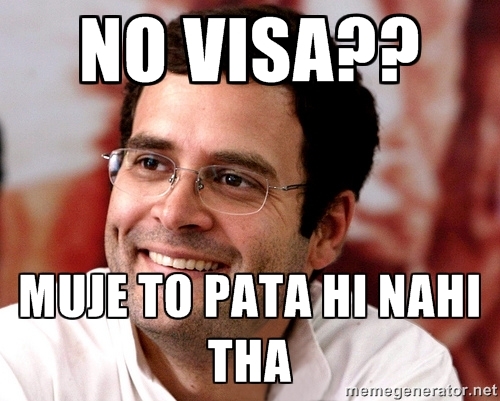 Her price range varies from Rs 60 to Rs 2000. 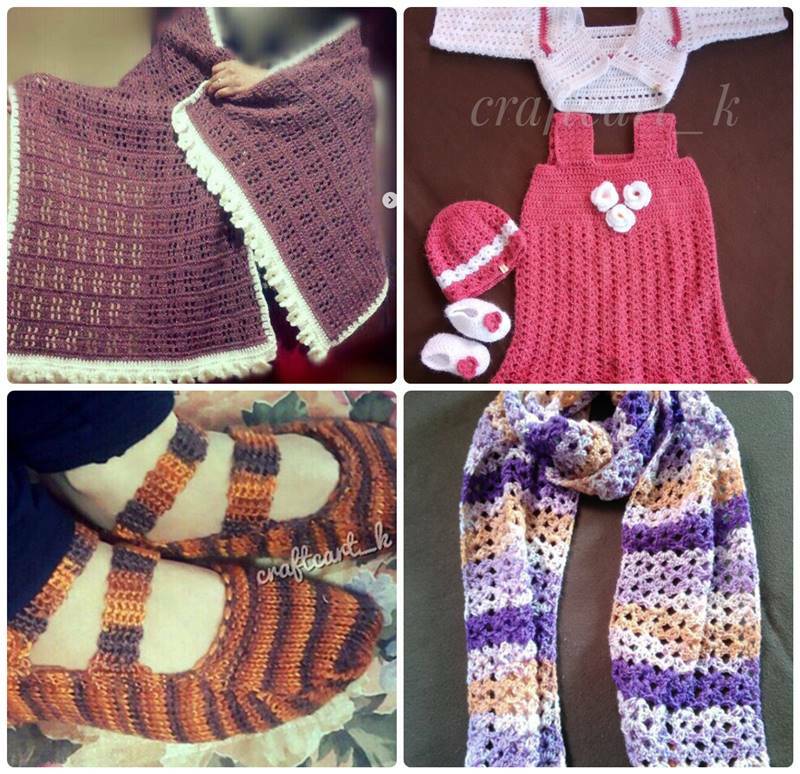 A Web designer by profession, Najam Qari, started her online store “craftcart_k” in the late 2015. “It was always about creativity which inspired me to be a website designer at the first place and finally a crocheter”, says Najam. Her catalogue includes sweaters, socks, bags, shrugs, summer wear, baby sets and much more. 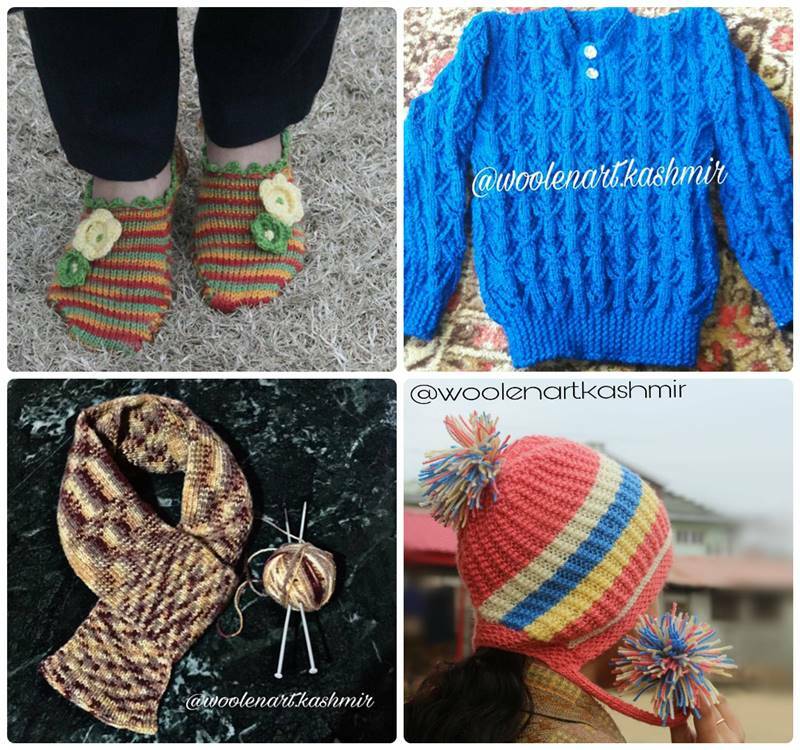 Unlike other online stores, which have young members in their core team, Woolenart.Kashmir, started by Snober Khan, is run by her mother and grandmother as well. 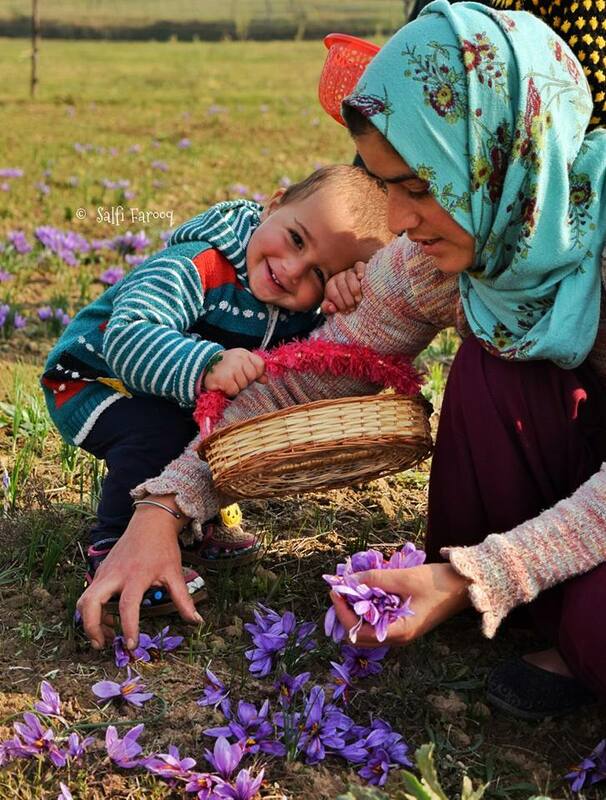 Launched in December 2016, they make knitted booties, childrens sweater, caps and dresses. 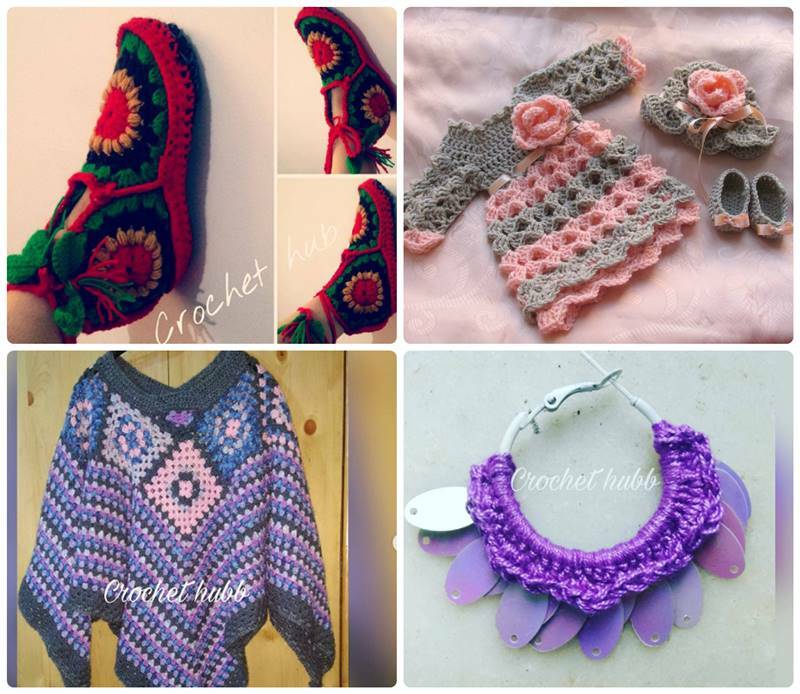 “I was very much interested in everything creative since my childhood”, says the anonymous owner of crochet_hub. Started in Jan this year, they make everything from jewelry, baby dresses, shrugs, caps to booties. Personally, the owner loves to design baby sets. If you are interested in listing with us, click here. 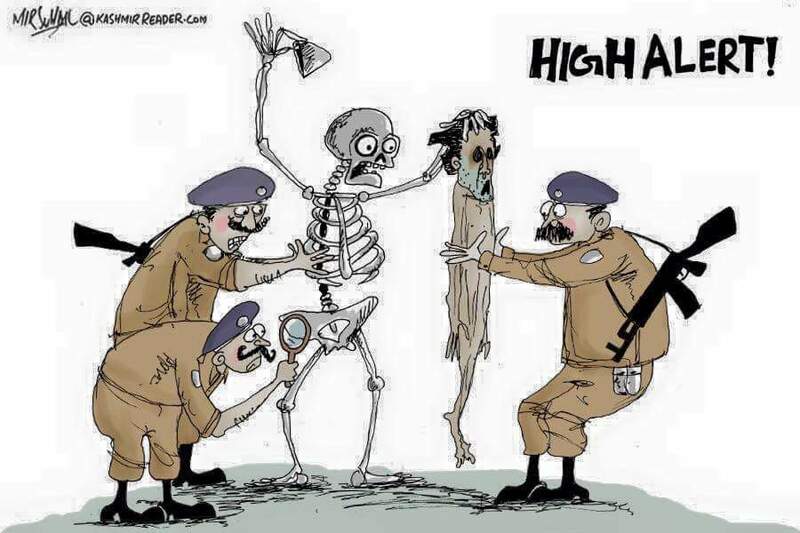 Check other online services in Kashmir here.